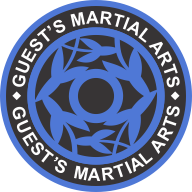 Kids Karate - We conduct classes for several different age groups. All classes are Self Defence based with a strong character development focus. We limit class sizes to no more than 10 students to one teacher. For more information please select the age group that interests you the most. 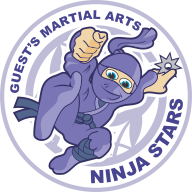 Our Ninja Stars classes are full of energy and enthusiasm. They're kept moving with the focus on learning to control their mind and body. 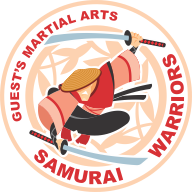 Our Samurai Warriors classes have a wider range of skills taught including wrestling so they can control their partner without injury. 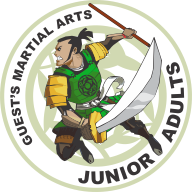 Our Junior Adults high school students training program is very focused on Self Defence based Martial Arts. 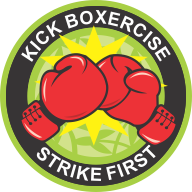 We do not do sport based tournaments instead we focus on effective self defence training.